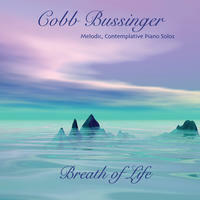 Cobb Bussinger: Melodic, passionate, introspective and transcendent journeys to the heart. As Cobb says it: "My mom made me play that accordion until one arm was twice as strong as the other." When he finally realized this, he switched to organ and guitar, which were already in his home since his father played quite a few instruments. He started his own group at the age of ten, which continued throughout high school. The day he could legally drive, he took off to find good musicians in central Philadelphia and joined a band that eventually turned into "Rock Island" where he found a fair amount of success and learned a tremendous amount about the music business. 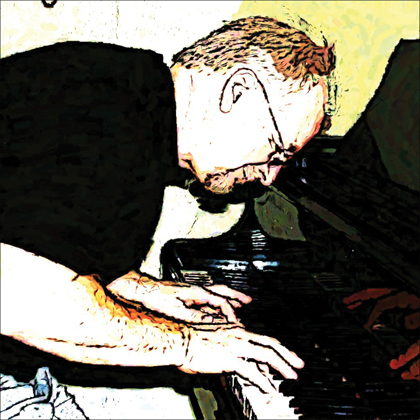 Cobb studied Piano and 18th & 19th Century Music Theory and Composition at Combs College of Music in Philadelphia and Film Music at UCLA Film School in Los Angeles. Cobb is currently based in El Paso, TX and stays busy in his state of the art studio producing, orchestrating, and recording music for varied projects. You can hear his music on HBO, History Channel, ESPN, Discovery Channel, and on a variety of national TV station news buffers. He has been the composer on many documentaries and films including "I Don't Buy Kisses Anymore" - Winner, "Top Applause Award", Santa Clarity International Film Festival starring Jason Alexander and Nia Peeples, "Eye of the Storm" - Winner - "Angel Award" starring Connie Sellecca and Jeff Conaway, and "An Empire Conquered" starring Joseph Campanella. He also arranged and produced "Rude Dude" and "This Isn't Love Anymore" for Tony Guerrero's #9 charting album "Another Day, Another Dream." Other projects include trailer music for "The Muppets" and "State of Play," starring Russell Crowe and Ben Affleck. Currently, Cobb has music on The Late Show with David Letterman, The Price is Right, The Young and the Restless, Two and a Half Men, CSI:NY, CBS News Sunday Morning, The Mentalist, NFL Football, and others. 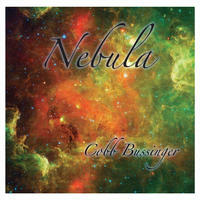 Cobb has two CDs available: "Breath of Life" and "Nebula." Cobb Bussinger lives in Texas, USA. Tagged as: New Age, Classical, New Age Piano.